Already not nearly as universally praised as District 9, Neill Blomkamp’s second theatrically released film isn’t poised to achieve the same surprise Best Picture Oscar nomination the way that his previous film did. 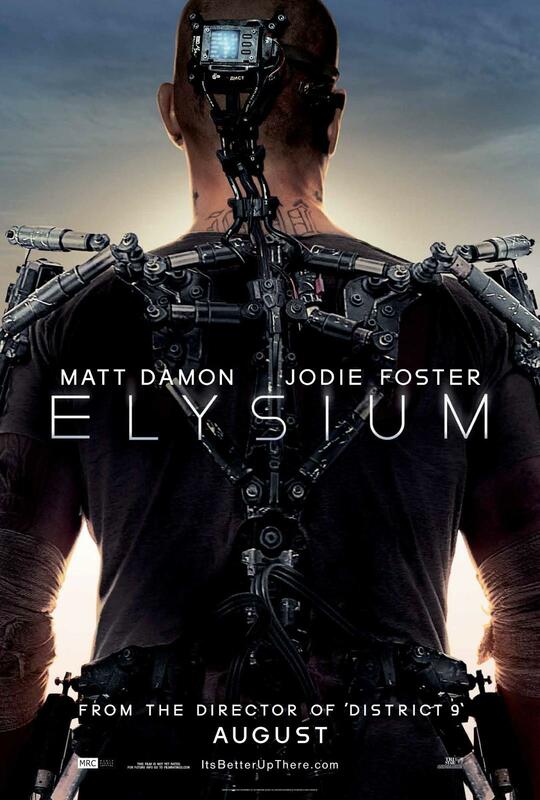 That’s okay though because, flawed though it may be, Elysium is an incredibly entertaining movie with plenty of spectacle, gory action, and an intriguing but surprisingly disagreeable lead character. In a hypothetical year 2154, the classism has been taken to the extreme, with the wealthy taking refuge from the disease of the poorer classes on Earth in an orbiting habitat they have named, proudly, Elysium (the posh afterlife dwelling for those favored by the gods). Those left behind on Earth are only privy to a view of the massive structure from below – unless they are willing to pay a price and risk their lives being smuggled aboard. The big draw, you see, is that Elysium promises not only the nicest living conditions for those rich enough to live there, but it also houses technology that can, as far as we know, heal anyone from almost every malady their body may undergo. Such services are, apparently, nonexistent on the planet’s surface. The film’s protagonist (to use the term loosely) is Max Da Costa, an orphan living in the slums of Los Angeles, who one day dreams of going there, promising his fellow orphan and love interest Frey Santiago that he will take her there someday, when they are older. Max in 2154 is not nearly as optimistic as his younger self, however, working in a factory run by an uncaring corporation that staffs equally uncaring supervisors, helping to build droids who will serve as everything from servants to law enforcement for the government and upper class. When Max is accidentally exposed to a fatal dose of radiation and only given days to live, Max, with nothing to lose, is determined to make it to Elysium and heal himself… but he’s only going to get there with help from some tenuous partnerships. If you’ve seen District 9, you’ll remember the film’s focus was on government pawn Wickus, who was not exactly the most likable protagonist. Max, similarly, is a fairly self-centered, largely dislikable character, only this time coming from the other side of impoverishment. Though he was born into and continues to live in poverty, Max did not grow up hoping to be a savior for his people, nor does he become their beloved leader, either. Unlike Frey, who grew up to work in a hospital, his dreams of going to Elysium in childhood, right up until and during his impending death are informed by selfish desires to benefit and preserve himself, and though there is the opportunity to relieve the rest of Earth from their own struggles, there’s a sense that, had he nothing to gain from this journey, he never would have embarked on it in the first place. Max’s issues, however, are largely informed by the government’s oppression, which has hardened him to become the sarcastic, violence-prone man he grew up to be, so our sympathies do still lie with him from the beginning, unlike Wickus, who has to earn it. Matt Damon works very well in the role, too, understanding that Max is no knight in shining armor, but the kind of guy who gets picked up for drug dealing and then strikes a bargain to help take down an even bigger threat. Elysium does provide us with a few more cut and dry villains, however, primarily in the form of Elysium’s power-hungry Secretary of Defense Jessica Delacourt, who holds the power to override the President’s authority when the station’s safety is being threatened. Jessica, unlike Max, is a bit one-note – a conniving, uncaring cartoon politician whose snobbery and inhuman lack of even basic empathy has her making shocking life-or-death decisions, so long as it’s in the name of keeping Elysium and its inhabitants safe, healthy, and comfortable. Let’s not find fault with Jodie Foster when the fault lies in the script — at the very least, she does her best to make Jessica a formidable political force, even if the politics of the future seem tweaked just enough to allow for her to twist her invisible mustache to improbable lengths. Then there’s her hired muscle, Agent Kruger. Kruger is a heavily armed, absolutely mad mercenary and takes pleasure in doing her dirty business for her. When it becomes clear about what Max is attempting to do, you better believe his and Kruger’s inevitable encounters are nothing short of brutally visceral. 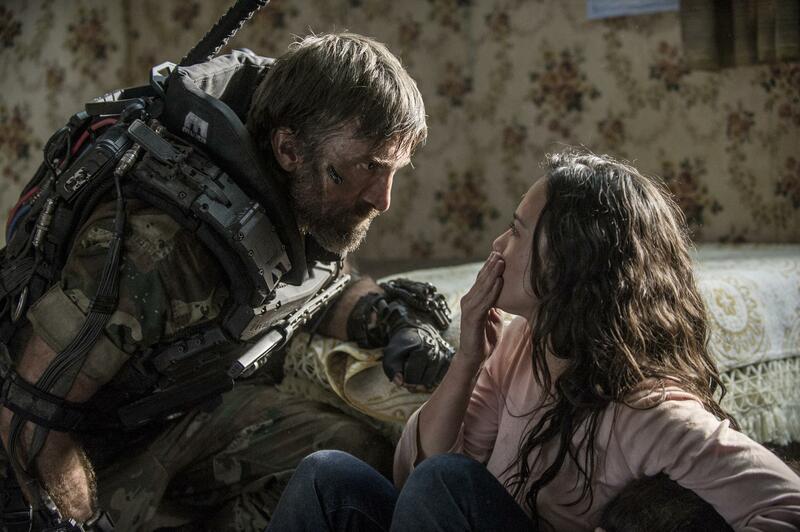 Sharlto Copley, so amusingly nerdy as the despicable Wickus in Blomkamp’s previous film, transforms into a startling, raging monster as the sword-wielding cyborg, whose many crimes committed in his free time make Jessica’s decision to put him on government payroll all the more disturbing. Apart from the obvious excuse to have multiple (very gory) combat scenes, Kruger’s role in the film also lends it an undercurrent of drone strike commentary, as well. Let it not be said that Elysium didn’t try to be as topical as its predecessor. In fact, Elysium’s greatest fault is that it seems to be trying to be about pretty much all of today’s attention-grabbing headline issues: Immigration. Class division. Health care. Drone strikes. Maybe even racism, given that much of the population on Earth is shown to be Hispanic, though it’s clear from Faran Tahir’s role as the President that citizens of Elysium generally doesn’t hate non-whites. The problem is that, with all its interesting little world-building tidbits, Elysium doesn’t do enough to say much of anything about any of these topics. While it’s clear what Blomkamp’s ultimate stance may be on certain issues, there’s very little in the film that seems to support whatever it is that he’s saying beyond his belief that it’s just the right thing to do. 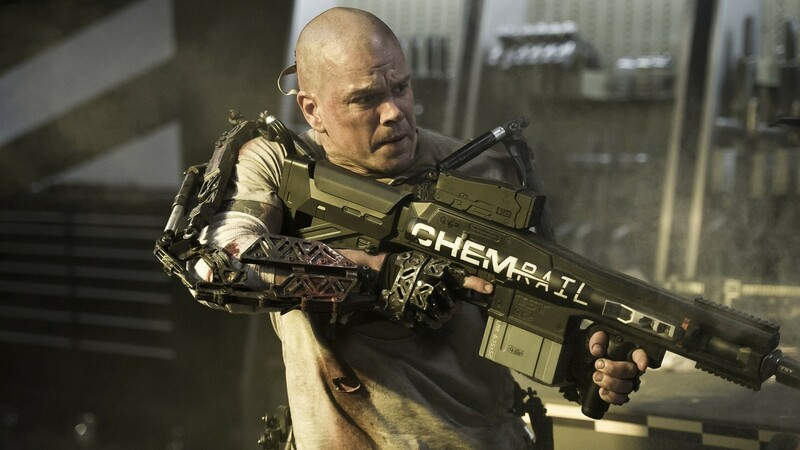 So Elysium falls short as an allegory, its social messages being muddled at best. That being said, as I stated before, it’s incredibly entertaining, and, visually, it’s pretty darn close to being magnificent, with the filthy, slum-covered surface of Earth showing off stunning detail and realism, and the action choreography is spectacular and surprisingly easy to follow, even with the shaky cam. This may be considered Blomkamp’s sophomore slump, but, I can honestly say that, if a film this enjoyable really has been taken down by said slump, his next film, Chappie, has a good chance of showing just how charmed the third time around can be, too. I saw the movie last weekend. Probably my favorite action I’ve seen in a while. I totally agree that the social commentary is pretty silent. But I didn’t really care to be honest. I don’t really think about that stuff. As a movie I thought it was awesome. Yes, Cameron, I know you saw it last weekend. You were with me, remember? Must we take you to the doctor again?